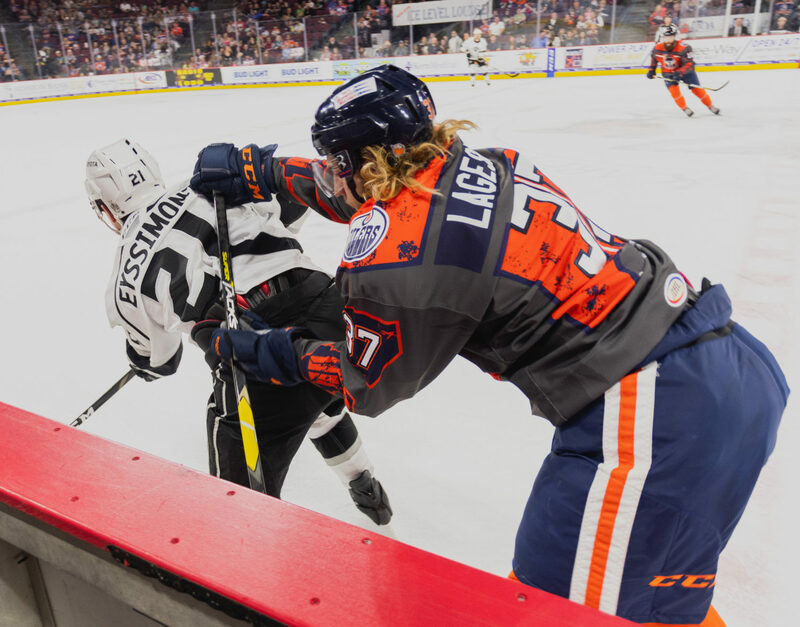 The Reign concluded a road trip, that began with a promising start, on a sour note, finishing the five-game swing with their largest defeat of the season, a 7-0 margin in Bakersfield against the Division-leading Condors. The Condors struck early and often in the opening period, and only a SportsCenter worthy stop from Cal Petersen in the game’s first minute prevented five from being six. The Reign conceded 1:44 into the game, through forward Jakob Stukel, who tallied again just over four minutes later to push the score to 2-0 in favor of the hosts. 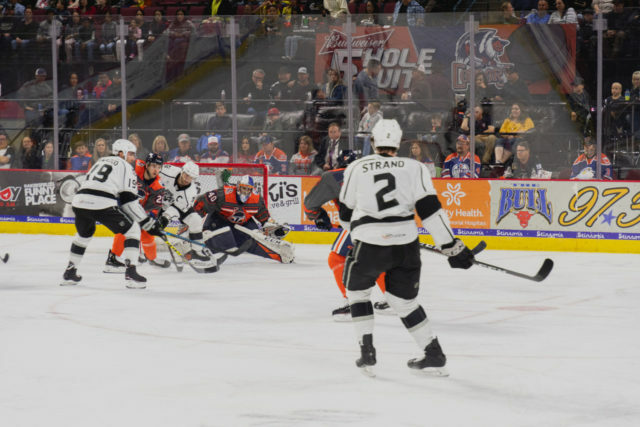 Bakersfield struck three additional times in the opening period, with Cooper Marody, Ethan Bear and Tyler Benson each finding the back of the net, the latter two through deflections off of a Reign player or stick. The five goals allowed marked a season-high for the Reign. Petersen was replaced by Peter Budaj to begin the second period. The veteran netminder has had success in this building this season, with 61 saves on 65 shots in two appearances entering tonight’s action and finished with 16 saves on 18 shots. 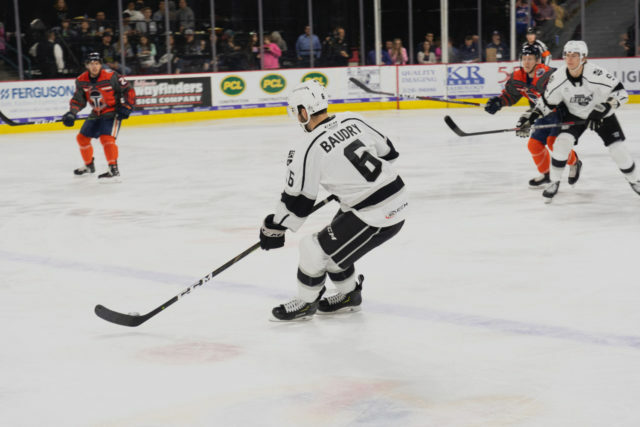 After the two teams played nearly the entire second period scoreless, Bakersfield struck 3:21 from the final buzzer, as Bear collected his second goal and fourth point of the evening, widening the gap to six goals. Bakersfield struck again midway through the third period to extend its lead to seven. David Gust got in on the scoring with his 16th tally of the season, sneaking his shot past Budaj from the left-hand circle. The Reign conclude their road trip at 2-2-1 and return home, for a rematch with these same Condors on Friday evening in Ontario. A little bit of everything, but I think it starts with the mental [side of the game]. Clearly we weren’t ready to play and that showed in the first period. We’ve got to show that we want to play here and that’s not how we want to play hockey, so we’ve got to be better. I think it’s just up to every single one [of us] to get ready to play a game. You can have coaches yell at you or coaches be nice to you, but if you’re not ready to play, you’re not ready to play. That’s what happened tonight. We go home and we get focused on the next two games coming up here. We’ve just got to show up in the last 11 games here and show that we want to win. I know we’re not good in the standings right now but we’ve got to play hockey still. That’s embarrassing what just went down. I’m already….\definitely, we need to respond. That’s our next game and we’ve got to do something. We just lost seven-nothing so we’ve got to show something to them here. Well, we didn’t have a whole lot of energy or zip today. So, that was kind of a difference. I’m sure there’s a lot of things that factored into it, travel being one, it was a little bit different. I think it finally caught up to them, but you know what, it’s a part of the game. Teams travel, you play home games, you play road games, so you’ve got to find a way to deal with it. That’s a part of the process of becoming a good pro. They’ll respond positively. They always have, they always will. It’s a good group. We don’t look at it that there’s 1 games left, 68 games left, we just take the next one as it comes. We’ll put this one behind us, put some miles behind us, head back to home base and have a good week of practice.